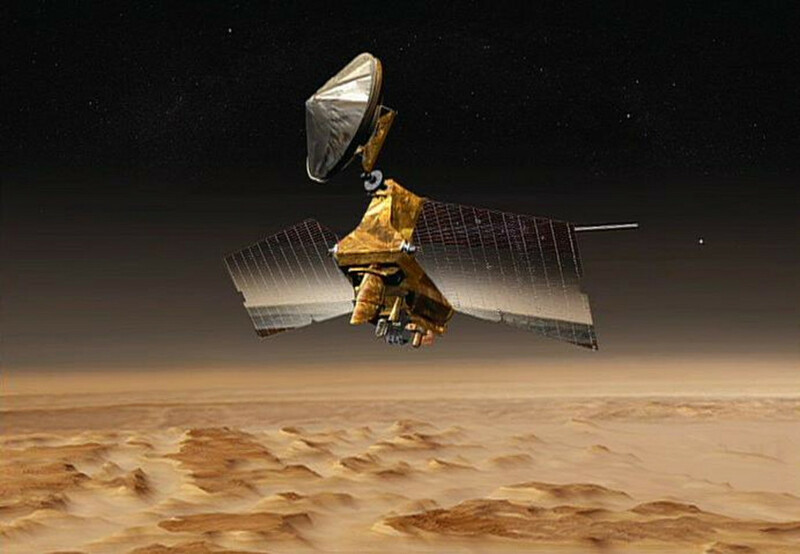 July 28, 2015 – With its biggest orbit maneuver since 2006, NASA’s Mars Reconnaissance Orbiter (MRO) is preparing this week for the arrival of NASA’s next Mars lander, InSight, next year. Both InSight and the Mars Reconnaissance Orbiter are built by Lockheed Martin Space Systems in Littleton, Colorado. A planned 77-second firing of six intermediate-size thrusters on July 29 will adjust the orbit timing of the veteran spacecraft so it will be in position to receive radio transmissions from InSight as the newcomer descends through the Martian atmosphere and touches down on September 28, 2016. These six rocket engines, which were used for trajectory corrections during the spacecraft’s flight from Earth to Mars, can each produce about 22 newtons, or five pounds, of thrust. JPL, a division of the California Institute of Technology in Pasadena, manages the MRO Project for NASA’s Science Mission Directorate, Washington. Lockheed Martin supports the orbiter’s operations.